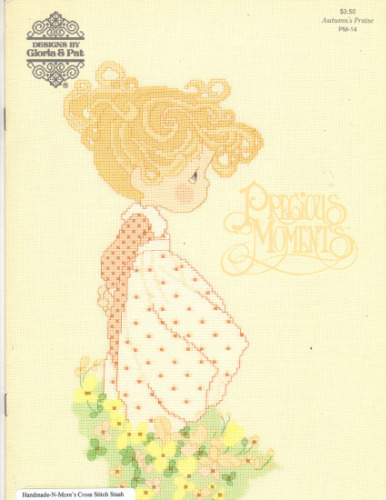 Designs by Gloria & Pat PRECIOUS MOMENTS Autumn's Praise PM14 Cross Stitch Pattern booklet. Stitch Count 176 x 86. Appears new. Store sticker on cover.